This afternoon Celtic will play their final match of 2016. The Bhoys will head over to Ibrox for the first time in over four years. Back then it was their old rivals Rangers. This time it is their new rivals, The Rangers. Putting the old and the new argument to one side, today’s match will be marked with a minute’s silence in memory of the Ibrox disaster and it’s victims. 66 people died and over 200 were injured from the events that occurred in s Rangers v Celtic match on 2 January 1971 at Ibrox. For one minute, I would urge all Celtic supporters to be respectful and observe the 60 seconds of silence. After this there will be more than enough time to make plenty of noise. The sad irony about this minutes silence is that it was a series of historic safety issues over a 70 year period at Ibrox that led to stadium improvements in the first place. Unfortunately, the stadium has been in the headlines recently for health and safety concerns which will leave many feeling uneasy. What is important about today’s match is that it is completed with as little disruption as possible. I hope that all fans will observe the one minutes silence and go into the new year without causing havoc inside or outside the ground based upon the result. Celtic go into this match as league leaders and with a very healthy 16 point gap over today’s opponents who lie in second place. However, with Aberdeen breathing down their necks a mere 2 points behind the heat is on for The Rangers. This is a must win game for Mark Warburton’s side. He is under pressure not to win the league, but to close the gap on Celtic and keep ahead of the rest in second place. That position is under serious theat now and even more so if Celtic win at Ibrox this afternoon. In fact, I don’t think many are in any doubt that Celtic will win this afternoon. It may be Brendan Rodgers first visit to Ibrox as a manager but he is no stranger to big arenas or intense atmospheres. He has already hosted Mark Warburton’s team at Celtic Park and wiped the floor with them. Amongst that he has played many European heavyweight sides home and away as well as a whole host of others south of the border in the English Premier League. He and his players will not be phased by this fixture. Today, all Brendan needs to do is pick his best side for the job. Mark Warburton and his players will do everything they can to disrupt that. They are fighting for survival. Beating Celtic would be a huge boost for them. Their club is in a mess financially, their stadium is falling apart but their existence continues to be unquestioned by the media. We all know what condition they are in right now despite not reading it anywhere in the SMSM. So let’s help further their misery and give them a good thumping today. Celtic are on the crest of a wave, need not be overzealous in their approach. The unbeaten run must continue at Ibrox today and into 2017. This will be a season to remember. Rangers are dead! From their ashes, The Rangers! After several years scratching around in lower levels, the establishment’s imperial orcs have finally scrambled their way into the top flight. Armed with ageing warriors, they attempt to siege Scottish football for themselves. All has not gone to plan as the separatists continue to wrangle over who owns what. A stalemate continues, but they have also lost one of their warriors…back to Burnley! Due to a gutless Aberdeen and Hearts, The Rangers find themselves second in the Scottish Premiership. Top of the league remains uncharted territory. Whilst The Rangers continue to make repairs on their home base on the far moon of Ibrox, Warburton considers interest from the outer rim territories. Daah-dah, da-da-da, daaah-dah, da-da-da, daaah-dah, da-da-da-da! Since Celtic last played Partick Thistle, they have seen off Hamilton Academical and Dundee at Celtic Park as well as the Jags themselves on a 4-1 victory at Firhill. 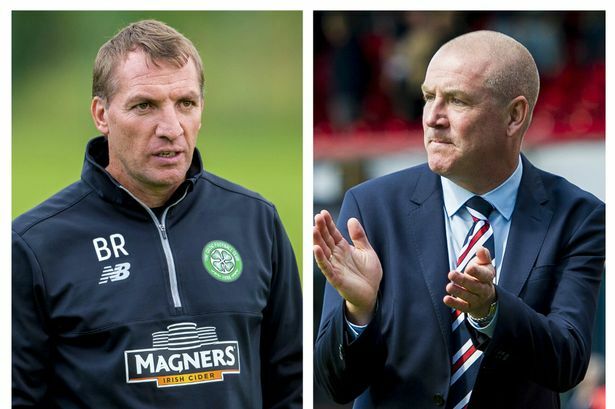 Tonight that unbeaten could continue, but with Brendan Rodgers hinting about personnel changes for tonight’s visit by Thistle, are Celtic jeopardising their winning streak? Brendan Rodgers has a huge squad and not everyone has seen the light of day since he came on board. Aside from those sent out on loan he still has many fringe players who need game time as proper assessment. It will give Brendan a chance to run the rule over some of the players without sufficient game time. In recent weeks we’ve seen one or two ease their way into the squad such as Gary Mackay-Steven, Emilio Izaguirre and Patrick Roberts. There have been cameo appearances from Cristian Gamboa and Ryan Christie and some becoming forgotten figures such as Kolo Toure, Dedryck Boyata, Nadir Ciftci and of course Efe Ambrose. Deeper down the ranks though we haven’t seen much of Eoghan O’Connell, Jamie McCart, Anthon Ralston, Liam Henderson, Kristofer Ajer or Jack Aitchison. Tonight some of these guys might get a nod, but I don’t see Brendan making too many changes. As comfortable as Celtic are right now, you don’t want to appear to be cocky. A win tonight would put Celtic 14 points in the clear and still with a game at hand over second place. The long-term aim is an unbeaten run, even if it isn’t being discussed openly. It currently sits at all 20 domestic games unbeaten, 19 of which were wins with the last 14 being straight wins. To ensure that continues, players will be champing at the bit to be part of it and keep this momentum. One player who isn’t part of things right nowh though is Kris Commons. He has gone out on loan to Hibernian until mid-January. The happy recipient is of course the man who brought him to Celtic in the first place. Neil Lennon will utilise the services of Commons to see Hibs through a tough spell with personnel in the Scottish Championship battle. The Leith club are neck-a-neck with Dundee United right now, but Commons has answered the call by his former manager. Brendan Rodgers has stated that it is good for both parties, but with Commons out of contract in the summer and having never kicked a ball under Rodgers he is very unlikely to be at Celtic beyond this season. For a player with such great talent, he has managed to find himself out of the picture with all three Celtic managers he has played under. Despite making a huge impact in January 2010 under Lennon, Commons would lose his place in the first team the following season amid rumours and speculation of a fall out, ignoring any other facts in the process. He would later return to form and the first team which was good news for the club and the fans. 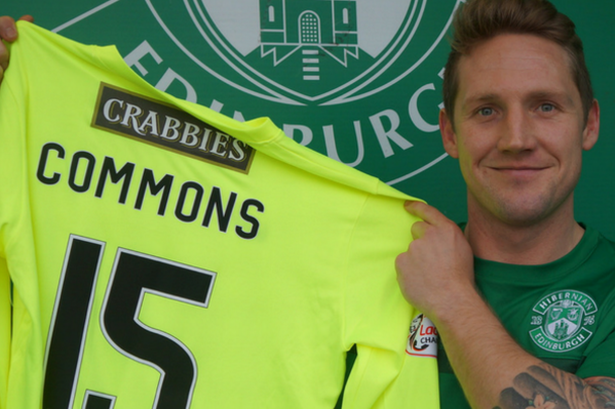 Commons was a key player and had been missed by the fans. Next came the Ronny Deila era and it wasn’t too long before he fell out of favour with the Norwegian. Deila was becoming well-known for fitness and it was almost certainly the reason behind his decision to leave Commons out of his team selections. Although a gifted player, Commons isn’t the fastest or leanest. When a manager is focussed on certain attributes that you are lacking then they are going against their own plans to make an exception for you. Even although Lennon and Deila would make that exception, Rodgers doesn’t appear to be of the same mind. You have to be consistent with your decisions and this loan spell may offer Kris Commons a lifeline to see out the rest of the season with Celtic, but after that I don’t see a way back for the 33-year-old. There is no question of his affinity for the club and the admiration the fans have for him. If he is not fitting the mould of the Brendan Rodgers type player he is almost certainly a goner this summer. I hope he does well at Hibs and we do get to see him wear the Hoops again. Tonight though, the opportunities are there for those with a longer future at the club. These days, we appear to live in an age of ‘the enquiry’. From one month to the next there is another investigation going on into some matter from past or present. In recent times we’ve seen politician’s expenses fraud and phone hacking by media companies. There’s been investigations into policing across the UK with Hillsborough being very prominent above many other cases. It doesn’t just stop with politics and policing though. The biggest story of all must be the ongoing devastation that is child abuse. The endless amount of historical child abuse has ranged from celebrities to politicians to priests. There appears to be no end to this horrible saga. With stories now emerging from sport, football being the current sport in question, we seem to have uncovered another horrible truth about UK society. The ordeal these young people have gone through is horrific. As Celtic fans, we know all too well about the crimes of Jim Torbett. Despite this being one of the few such stories to have ever emerged in years gone by, it has now come to light that Celtic Football Club weren’t the only club in the UK to have any of their officials abuse children in the past. It has long been a stick to beat Celtic with if you were a Rangers fan or indeed one of the New Rangers fans these days. The “Big Jock Knew” slur continues to get regurgitated every other day in their world as if Ibrox have a squeaky clean history. What we have learned in the last couple of weeks is that these predators were everywhere. How each matter was dealt with at the time (if known) has varied from club-to-club, but now people are stepping forward and sharing their pain. This truly is a sad period for football, but it is also an incredibly important time for those who were abused to be able to express themselves and try to shed some of the pain they have carried for too long. Given the way society has handled similar matters in the past it is of no surprise that football has fallen under this spell as well. There are a lot of courageous people out there coming forward and sharing their grief after such a long period of silence. I cannot begin to imagine how that must feel. Hopefully by sharing now, they can somehow salvage some of the happiness which they have been deprived of all these years. That is no consolation of course for what they have been subjected to, but it may be a step towards halting this kind of thing happening ever again. Unfortunately, I think we may only have just scratched the surface of the matter. As sad as this episode may be, it all needs to come into the open in order help the victims and punish the abusers. We simply cannot allow this kind of behaviour to continue in sport or in society. Children should not have to suffer in silence, feel ashamed to come forward or be preyed upon by such vile ‘human beings’. I can only hope that with this being as wide-spread as it is, some of the scum that have used the Big Jock Knew slur for so long might take a look at their own back yard for once. That they might think twice about taunting people about such a tragic story which has affected so many people. This is a real matter involving real people. The victims need to be heard and to receive sufficient support. To use such material as an instrument to torment your rivals only brings you down to the same level as the abusers. Keep that in mind the next time you wish to taunt your opponent please. Celtic tucked away a 4-1 victory on Friday night at Firhill. Partick Thistle missed opportunities but they didn’t really trouble Celtic enough to alter the destination of the game. Brendan Rodgers made some personnel changes and the football wasn’t as fluid over the 90 minutes as we’ve seen of late. However, after going out of Europe with a spirited display on Tuesday night you could forgive the squad for displaying some fatigue. There weren’t too many talking points from this game apart from the goals which were all of good quality. 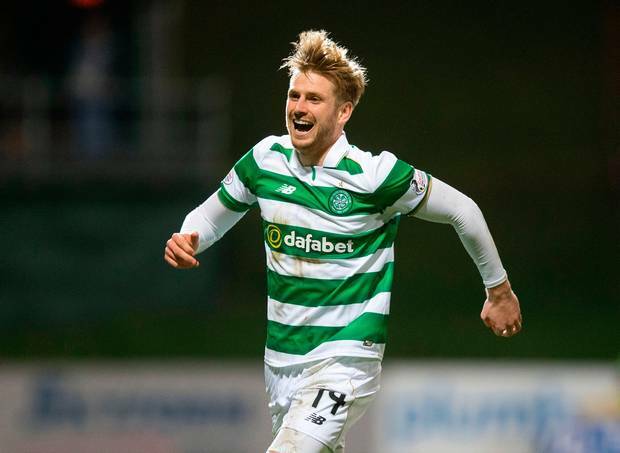 Stuart Armstrong sent home his first goal six minutes from the interval thanks to a great square ball by a hard-working Leigh Griffiths. Armstrong was front and centre once more in the second half as he received yet another assist from Griffiths in the 49th minute. A free kick from the right hand side of the Thistle box was knocked low into Armstrong who controlled and finished calmly. Griffiths then turned from provider to opportunist a minute later. It was a reminder of what he is great at when capitalising on hesitant opponents by notching up his first and Celtic’s third, after some quick-wittedness in the danger zone. Thistle then pulled one back after a solid header from a free-kick beat Craig Gordon. Celtic were sloppy on this occasion but the a Jags weren’t. The Firhill players then sensed another opportunity and almost did the same again with a near identical free kick and header. Thistle weren’t as fortunate with offside given on this occasion, but if they had been the game may have looked very different from this point on. With Thistle not giving up, Callum McGregor had come off the bench to secure the win for Celtic. A delightful ball in from cut back on the touch-line by Emilio Izaguirre found McGregor who slotted it ball home from close range. There has been criticism on Callum McGregor and his finishing. Yet, he’s scored twice in his last two games and as Brendan Rodgers says, he’s always good for a goal. I think he is a magic wee player who has a role to play. Goals and guile he has in abundance and is a good squad player. The one key talking point for me in this match was the foul/penalty claim by Ade Azeez. I didn’t see much contact when it happened in real-time and when the replay was shown, I couldn’t see much more either. Chris Sutton was keen to see the replay and the different camera angles but he along with the rest of the pundits were convinced Gordon had taken Azeez out of the game. Well, I’ve looked at it several times and I still can’t see any contact in or outside the box and I am by no means in denial. I don’t think any of the replays show contact and for once I’m not hearing too much from the media suggesting that Celtic got away with murder. Despite this not being a polished display, there were some very good performances at Firhill though. I thought the Partick Thistle keeper Tomas Cerny was great to stop Leigh Griffiths from helping himself to more goals. In turn, Leigh Griffiths was instrumental in practically every forward move. He demonstrated his full skill set in this match. His footwork is unbelievable at times and has proven time and time again that he can provide assists as well as goals. That was certainly on display at Firhill. He did so much in this game which at times even includes tracking back which isn’t something you get from a player like him very often. And….that’s the difference between Leigh and Moussa Demeble. The French forward has been fantastic for Celtic but there are significant differences between himself and his Scottish counterpart. They both offer something different to Brendan Rodgers and equally as effective. That is the kind of headache you want as a manager but it remains to be seen if he will ever play them together. Out on the wings, it was a pretty quiet night for Celtic. Patrick Roberts looked decent early on but like his fellow winger, Gary Mackay-Steven over on the left, they were both having a largely unproductive match. The same could be said for Tom Rogic but to be fair, I felt the majority of the play was coming from Cristian Gamboa and Emilio Izaguirre. Some Celtic fans have been quick to judge Gamboa but he came onto a game at Firhill. It should be remembered that he has barely kicked a ball for Celtic this season and needs time to establish himself before we sound the horn of disapproval. On the other hand, I though Izzy was great down the left and provided a lot of support to the front men. Armstrong was good throughout as was captain Scott Brown who continues to have a fantastic season. The Celtic defence was steady enough to see off Thistle but in terms of future proofing, Brendan Rodgers will need to establish interchangeable players for central defence. Whilst Mikael Lustig can play in there, I still think he is better at right back or in a back three. Erik Sviatchenko is a key figure in this squad and will play there week-in, week-out but I am sure he would like to know who his partners are going to be in the long-term. Jozo Simunovic is being used sparingly for fitness reasons which is fine but I’d like to think we can bring in one more suitable defender to do the same job. Kolo Toure brought steadiness and experience at the beginning of the season but even he is looking short of confidence right now and almost certainly won’t be here next season. As for Dedryck Boyata, I am not sure what will happen with him. I’ve never really been convinced by him and I’m not sure if Brendan Rodgers is either. Efe Ambrose has become a spectator and his time at the club will end in the summer if not before. So unless Eoghan O’Connell is deemed to be an option in the long-term, central defence needs another player. However, a good win for Celtic and good to see some players getting a run out. I’m sure as the season progresses and January looms, availability for places will grow with injuries, suspensions and exits. Eleven points clear at the top of the league, two games at hand and the rest of the Scottish Premiership in action today. The question remains, will Celtic go the distance unbeaten? Celtic bowed out of the Champions League last night with a 1-1 draw. Brendan Rodgers took his squad to the Etihad Stadium in Manchester to face Pep Guardiola’s side one more time before bringing down their European curtain for this season. The game itself had no impact on qualification places. With Barcelona qualifying in first, City in second and ‘Gladbach in third there was nothing to play for but pride for the Hoops. And Celtic did just that with City loanee Patrick Roberts opening the scoring within 4 minutes. City equalised on 8 minutes courtesy of Kelechi Iheanacho. Despite no more goals for the remainder of the game, there were plenty of talking points. Top of that was Celtic’s performance. You could argue that with the group placings already decided there was nothing to contest. When Scottish and English teams collide there is everything to play for though. With Guardiola’s players fresh from some weekend controversy and already qualified for the next round, he made some changes. It was mentioned throughout the match on BT Sport that this was a second string Manchester City side but I will come to that later. In all fairness to Chris Sutton, as much as he is quick to criticise Celtic players for not doing something right, he was equally adamant to point out the talent that was on the park for City, not who wasn’t. 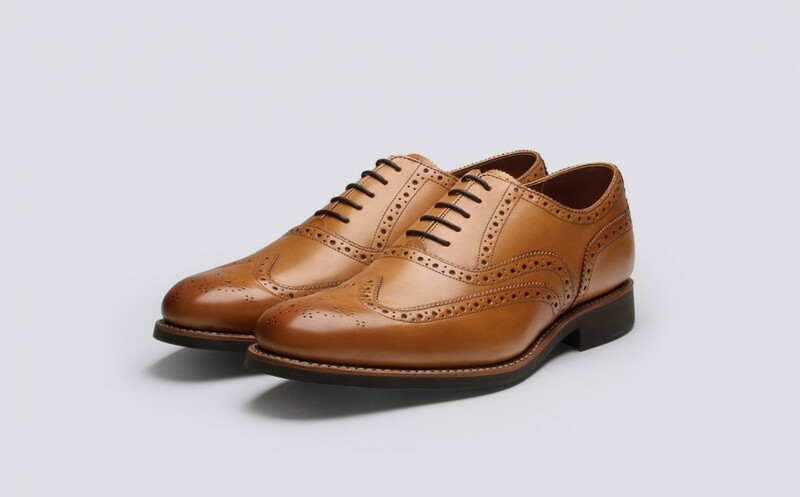 I must say, Sutton is growing on me as a pundit and what spot on when stating the facts. I wouldn’t say he is biased, he will tell you when things aren’t right in his opinion. I will disagree with him from time-to-time, but he ironed out the facts promptly on BT Sport which is more than could be said for the commentators . Ian Darke and Robbie Savage weren’t offering too much in the way of praise about Celtic’s goal. Their focus appeared to be more on the constant changes Guardiola makes, this game being no exception, rather than the complimenting the impact one of City’s own players had made on them. In contrast, when City equalised the Darke and Savage were a little more buoyant. They weren’t too critical of a lapse in Celtic’s defending or that Craig Gordon should probably have made a better effort to save thea shot which was pretty much at him. Still, by this point in the game it was looking like it could be another 3-3 affair and was developing into a great match. What a way to end our European run that would have been to have won it. Celtic were in fine form in Manchester. To go down there with no European progression is a tough motivator but the Bhoys gave it their all regardless. As I said before, playing an English side is generally all the motivation Celtic need. Ironically, the only English Manchester City player on the park was actually playing for Celtic. Speaking of which, all the talent that was supposedly left of the sidelines by City were replaced by younger players. They may have been up against Celtic’s close to strongest team, but leaving value aside for one moment, the age and experience of the Celtic team wasn’t given the credit it deserved. The average age of the Celtic starting line-up was 25 years old. City’s average player age in their starting line-up came in at 26 years old. Yet all I kept hearing was City’s young side getting to know each other and Pep’s system. Is Brendan Rodgers in any better position at Celtic given he has been in his job the same length of time? They failed to mention how much some of these City players are on or how much was paid to acquire their services as well. The ‘young’ lad Leroy Sané cost more than the whole Celtic team alone when you add all the fees up. However , I digress from what was an entertaining match. For Celtic fans this was a very positive nights entertainment. From back to front I thought Celtic were great. The passing and movement were impressive. The team looked sharp and fluid. This was a good sign for the future. My key men on the night were Jozo Simunovic, Scott Brown, Stuart Armstrong, Tom Rogic and James Forrest. I thought Emilio Izaguirre had a busy night, but he dealt with the pressure well considering. Erik Sviatchenko looked a little off the pace once or twice, but he too made some timely interventions. Mikael Lustig was steady, but also tested by the young Sané at times meaning he couldn’t get forward to support or serve Roberts. Roberts himself was in and out of the game. Despite scoring, his impact was not consistent but still a valuable contribution without a doubt. Coming off the bench was Gary Mackay-Steven and Leigh Griffiths. Both players could have won the game for Celtic but City had their chances to do the same. One thing is for certain about each players performance. Had they been playing more recently rather than on the sidelines, both of those strikes could have been in the back of the net. All in all it was a fair result where either team could have nicked it. That’s despite the match officials having a poor game. Celtic should have had penalty when Roberts was manhandled on the edge and inside the box. Worst still were the handful of offsides at either end of the park that never were. Lots of positives for Brendan Rodgers to think about. A good crack at the top flight which he could have been luckier with but this was a tough group. Take what we have learned from this campaign into the next. A fine effort Bhoys. A final note to the commentary team. Despite the blatant focus on Manchester City, Ian Darke found time to mention not just the 50th anniversary of Celtic’s success in the European Cup in Lisbon, but the proximity of that home-grown squad to Celtic Park and the fact that they were the first British side to win the competition. I’ve never had any negative feeling towards Mark McGhee. An ex-Celt who was present for the centenary season amongst others. In the football managerial world he’s been up and down the country. He returned for a second spell at Motherwell last year and made an immediate impact. In two key encounters with Celtic, one in April against Ronny Deila and the other yesterday against Brendan Rodgers, he has spat the dummy out post match. Jim Jeffries and Billy Brown eat your heart out. The source of this disagreement is likely to have begun in the Celtic pre-match warm up which McGhee intruded upon. That matter has obviously simmered until the final whistle where the losers of the match have got their comeuppance and reacted. This is a storm in a teacup at best. 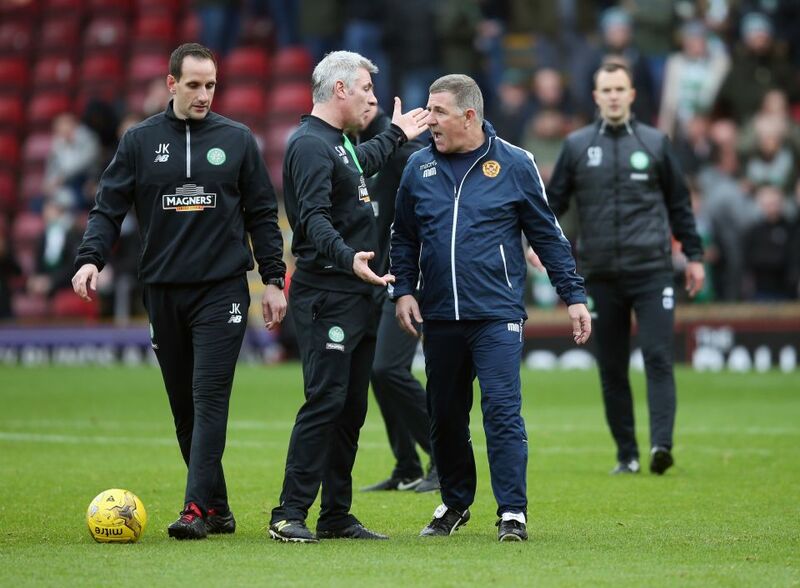 The fact that McGhee was at the centre of another post match disagreement in the face of another Celtic defeat just goes to show how bad a loser he is. It’s a shame because this was one helluva game. Motherwell set out their stall correctly and got three goals off the Champions – the only domestic side to do so this season. Instead of raising a clenched fist and tossing his toys out of the pram, McGhee should have focussed on congratulating his players for a fine display. His misplaced reactions are probably why he hasn’t achieved more in management .